DR SHE BLOGGO: Orphan Black 2.06 - "To Hound Nature in Her Wanderings"
Orphan Black 2.06 - "To Hound Nature in Her Wanderings"
Remember how the story of season 2 has been less CLONES ASSEMBLE and more EVERY CLONE FOR HERSELF? And remember how that’s inherently upsetting? Well, turns out that defining this thematic switch as an actual LACK for the characters, emotionally, is infinitely more upsetting. I need about ten thousand years to cry about clone sisters, and the way this episode underscored the concept of family by crossing it with a main theme: the assertion of humanity. ORPHAN BLACK 2.06: "TO HOUND NATURE IN HER WANDERINGS"
The title sets it all up: this season, our clone sisters have set out on their own paths, isolated from one another. We’ve seen it in every episode, and it’s a tragic pang of reality about their individual situations. But this episode doesn’t just unequivocally present this story as the new normal; it wistfully shows us a few hints of what might possibly be, if only our heroes weren’t under constant duress. If only Cosima and Sarah could go break Alison out of rehab right now. Maybe Helena and Sarah really could be true sisters, having adventures. Maybe Helena could have a relationship with a boyfriend. Including these moments of connection served to highlight the fact that the clone family is splintered right now, and created a beautiful kind of yearning in the audience that they could actually be a family, and maybe even one day, free from this. They are, after all, stronger together. This emphatic inclusion of emotional unity amongst the clones is thus a big indicator about the theme of the episode. The concept of family is the big throughline, the empathy anchor. It anchors emotional moments like Sarah and Cosima’s phone call. It’s mentioned casually, like when Mrs. S refers to the clones as “Sarah and her sisters.” It’s embodied in larger storylines, as Helena and Sarah have the most absurdly wonderful sisterly interactions on what is basically a road trip. It emerges in small details, like Helena’s cover story at the bar comprising the identities of her sestra clones. It even reveals in dialogue: Alison judges Vic for abusing Sarah; Sarah tells Cosima they’re stronger together; Cosima worries about her illness putting fear in Sarah over Kira; Helena is momentarily fooled when Gracie refers to herself as her sister. This episode deploys the concept of family in full force, and its purpose is more than just to tug at our heart strings. After all, we also reunite with the shady Mrs. S, and meet the elusive Ethan Duncan for the first time. These are both examples of family - Sarah’s foster mother and Rachel’s adoptive father - that have ulterior motives for their loved ones. Siobhán Sadler continues to be maddeningly (delightfully) gray in her actions and motives, and Ethan Duncan reveals himself to have been Rachel’s first monitor. “To Hound Nature in Her Wanderings” brings into sharp focus the repeated conflation of family with experiment, to fantastic and horrific result. Because this, even more than individual isolation, is the reality of the clones’ situation. Who can you trust, when you are a loved one but also a project? How can you forge genuine human connections when it’s possible the other person may not see you wholly as human? Orphan Black has danced with all these ideas in the past, but “To Hound Nature in Her Wanderings” brought them to the forefront, and fused the clones together with these shared bounds. Helena is supposedly a member of the Prolethean’s family, but she’s also their science experiment and the womb for their new generation. Delphine loves Cosima and wants the best for her treatment, but we’re reminded that their relationship is not just love: it’s a science experiment, and a power imbalance due to restriction of knowledge. Paul and Mark sit in dark corners of a bar and talk about Sarah and Helena like property: “You take your girl, I take mine.” Even innocent Scott, upon realization that DYAD has clones, asks bluntly if he can see one, like he’s at a zoo - not realizing the woman he has been working with is in fact a human AND a clone. And Alison, adrift Alison, who thinks she may finally have another human caring for her recovery, is in fact being tasked with another kind of monitor. Basically, this episode was filled with relationships that are blemished by the other party treating the clone as something other than simply human - whether object, target, possession, task, or even womb. This has always been a core theme of the show, and a great source of tension: how do the clones assert their humanity, when they’re derived from science, and patented property? Not only that, but their existence is, as Ethan Duncan so succinctly put it, proof of concept. They’re a project, conceived on paper but made breathing and living and loving - only to be owned and monitored. What results is a painful and fascinating tension, and another important theme for the clones: the importance of asserting their humanity. Last week, I charted Sarah as the character defined by chaos and vulnerability, and her capacity to find power in that space. This week, it was demonstrated completely, as the emotional pinnacle of the episode came with her confrontation of Ethan Duncan. She doesn’t threaten Duncan with violence, or attack him with reason. 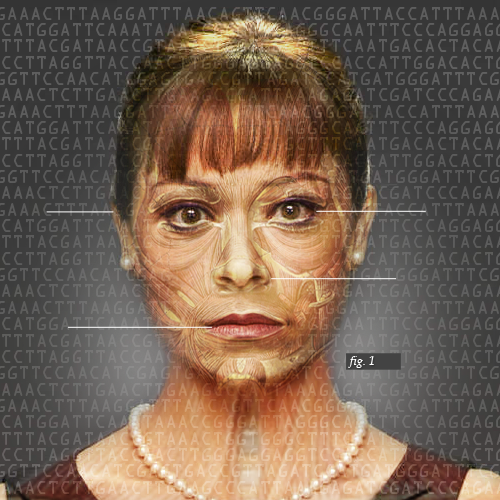 She humanizes herself, and Cosima, and Alison, by telling Duncan who they are as people. A brilliant scientist; a mom. She confronts Duncan with their humanity, which is so often denied them because of their origins. She forces him to look her in the eye, and tells him that she is not a concept: she is a human consequence for his actions. What’s even more beautiful about this moment is that it pays off the quietly-building theme of family. Sarah doesn’t assert just her own humanity; she asserts the humanity of her sisters as well. The reality of the situation really isn’t “EVERY CLONE FOR HERSELF.” Her situation is also Alison’s, and Helena’s, and Cosima’s. They are stronger together, through their vulnerability, in the sanctity of a family that knows the importance of humanity unmarred by treatment as object, target, possession, task, or womb. Of course, the implications of Sarah’s conversation with Duncan is also interesting under the lens of gender. While it’s true that Sarah uses her and her sisters’ humanity to appeal to Duncan, it also manifests in a gendered way: “your little girls are dying.” Typically, the show draws parallels between humanity and femininity - which makes the expression of strength through vulnerability all the more powerful. Orphan Black’s female clones may be unempowered, they may have flaws - but they are active, and strong. But this is an expression of the clones shared solely with the audience. For the purpose of Duncan, Sarah just wrangled them all into “daddy’s little girls,” to incite fatherly love and paternal protection. Combine this with the fact that Duncan claims that they pursued cloning because they wanted not just babies but little girls, and we’re very squarely in the idea that gender is of huge importance to this show’s narrative. It is no coincidence that this alignment comes in an episode where our leading ladies are engaged in relationships with individuals who see them as less than human, and where they voice their strength through togetherness. Under the lens of gender? This is a big statement about women, the right to their own bodies and identity, and the power in women connecting. In short: “To Hound Nature in Her Wanderings” is a damn good hour of television. But it’s also something more: it’s a damn good episode of Orphan Black. It inhabits its own universe and harvests its own themes and creates more meaning with them, putting them to use not only in the plot twists and narrative turns, but also in the characters’ actions and emotions. This show sprawls in the most engaging and thoughtful way, and “To Hound Nature in Her Wanderings” demonstrates that near-perfectly. Helena’s boyfriend storyline seemed bewilderingly out of place at first, until the slow dance revealed why it’s important to this episode in particular. Here is Helena allowed to feel finally. Her whole life has been a series of interactions in line with the theme of the hour: families manipulating or dehumanizing her. She even perceives her relationship with Sarah in some level of mistrust, leveraging her knowledge to achieve togetherness. But dancing with Jesse in a bar? Helena’s heart is finally ungoverned, free of constraint, and achingly human hoping. What could have been a goofy storyline actually ended up being thematically resonant and beautifully important. So much comedy in this episode, which made the heartwrenching moments even more poignant by contrast. Plus, each clone had funny moments in her own specific way - which means that Tatiana Maslany is not of this planet, basically. After several rewinds and a best-effort attempt to understand Science, we’re on with the idea that Cosima’s stem cell donation came from Kira’s baby tooth, yes yes? In which case, it seems to point to the idea that Mrs. S. is responsible for that. Speaking of Mrs. S, I am so all-in on the Murder Lady of the Night intrigue, it’s not even funny. She’s the protagonist’s MOTHER, which has its own archetype at this point, and yet here she is, in a t-shirt and beanie and wielding a gun. Motherly protection, indeed. And, finally, I am also very ready to see what the show does with Rachel’s father, especially as it might mirror Sarah’s relationship with Siobhán.